Stephen Woodard of Charlotte, NC captured the 39th Carolinas Mid-Amateur Championship hosted by McConnell Golf’s The Reserve Club in Pawleys Island, SC. Not able to play on his Friday due to the opening round being cancelled, Woodard bogeyed his opening hole of the tournament, "I played a practice round on Thursday and was excited to play on Friday, my birthday, so I was anxious after having to wait." The 46-year-old quickly rebounded by birding his next hole. Woodard started the final round one-shot off the lead, after an opening round three-under par, 69. The 39th Mid-Amateur Championship was shortened to 36 holes due to weather. The Carolinas Mid-Amateur Championship format is 54 holes of stroke play. After 36 holes, the field is cut to the low 60 scores and ties. 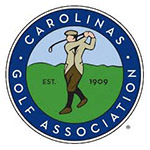 Entry is open to any male golfer who has reached his 30th birthday, is a legal resident of North or South Carolina, is a member in good standing of a club which is a member of the Carolinas Golf Association (CGA) and has a current USGA Handicap Index® at a member club that does not exceed 7.4.